Interview: Gwen Morgan & the Power of Youth! We’ve been working with Gwen (and her coach Simon Rawlinson) for a while now and it’s one of the coach-athlete teams that we’re most proud of. Many people might not be aware that we genuinely enjoy working alongside other coaches to deliver a “team” effort into the support of an athlete and it’s a balanced approach that tends to pay off in the long run. 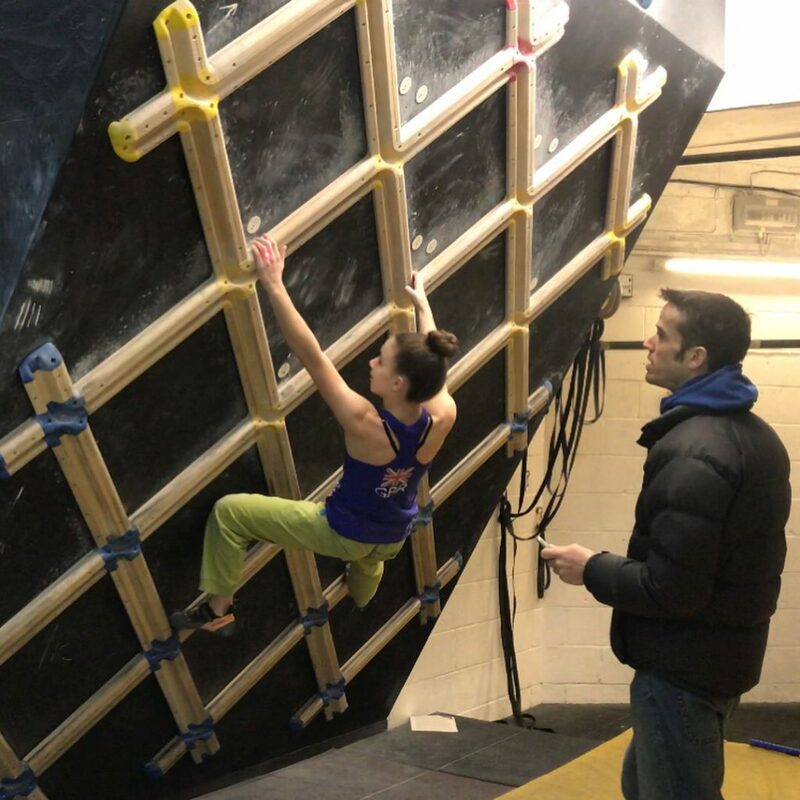 The climber gets a varied stimulus of coaching input, the coach doesn’t get hung up on “ownership” (this is definitely a problem in the industry unfortunately!) and the pathway of development is faster. Gwen’s progression and dedication is really second to none and we’re constantly impressed with the attitude that she (and her family!) have to maintaining a healthy climbing career. Hi Gwen, firstly tell us a little about yourself! Where are you based and what type of climbing do you do? I’m 13 and based in Cardiff, Wales but travel a lot around the UK climbing. 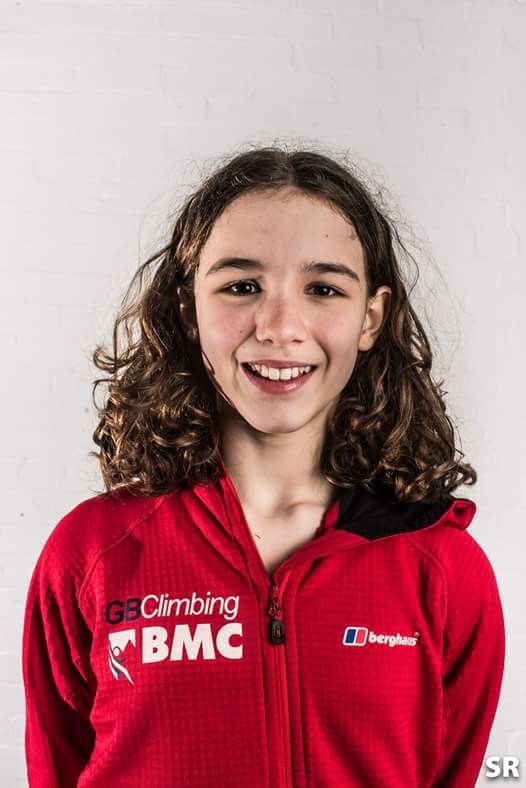 I’m currently primarily a competition climber and have been selected for the GB Youth Development Climbing Team in 2017 and 2018. I compete regularly in both lead and bouldering but I’m also planning this year to focus on further building up my experience on real rock. Who do you train with mostly? Is it a mixture of juniors and adults, guys and girls? I train with a mixture of climbers – age and gender are not a factor which is what I love about climbing. The people I train with help challenge, support, and push me on to become a better climber. I also regularly meet up with climbing friends around the UK to train at different centres as I find this keeps training fun and fresh. What inspires you in your climbing at the moment? Do you have role models or is it more about “the goals” that you’re shooting for? I find strong female climbers who work hard inspiring. I have my own goals but there are also many really positive female role models who I admire who are raising the standards in world climbing. 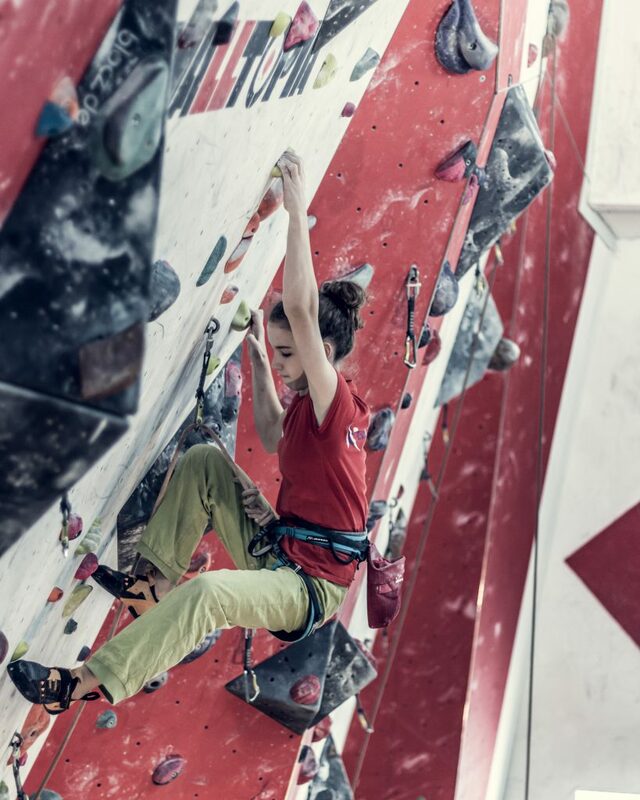 Shauna Coxsey, Janja Garnbret, Jain Kim and the Japanese climbers are really inspiring in competitions. Outdoors, Margo Hayes and Ashima Shiraishi are amazing. I met quite a few of them in Arco, Italy last year and they were all lovely and inspiring! How do you motivate yourself to train SO hard and SO consistently?! Setting goals for myself to achieve helps motivate me while training. Also climbing and training alongside other strong youth and adult climbers helps push me to train to the best level I can. It does also really help that we have a group of strong youth climbers in South Wales who spur each other on! For you, what’s the most important thing to get right to make progress? Any secrets? The most important thing for me is getting your head right – focus on what you want and the steps that will get you there and then go for it. It’s not always easy though as climbing is such a head game but it’s something I try to increasingly practice. You’ve had Simon Rawlinson, mentor and coach you for quite some time – how do you feel about the experience that you get from coaching? From a young age, Simon has been an amazing coach because he has inspired me and helped me to always try and reach my full potential. 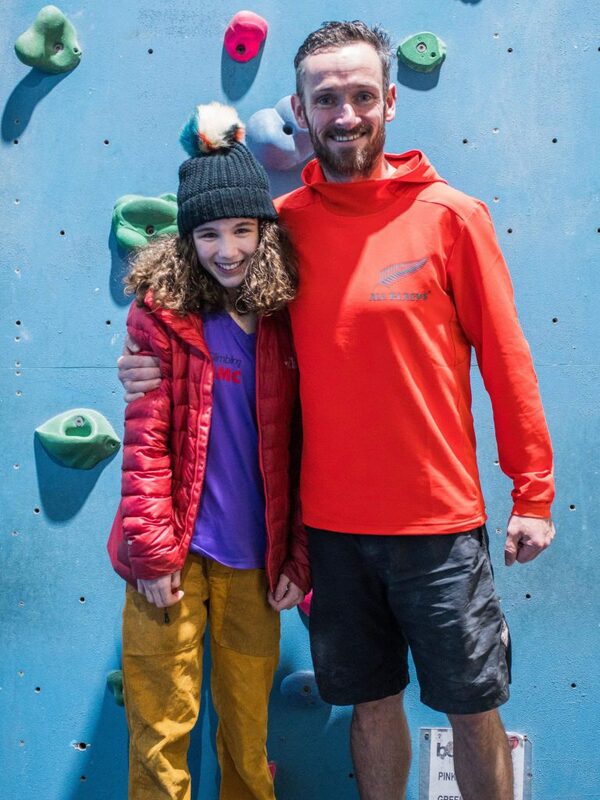 He is all about the whole climbing experience not just short-term gains, but setting positive habits that will last and he encourages me to ‘keep the faith on the journey’! It’s also about fun, hard work, trust, respect and sharing chocolate eclairs! If you had to give 3 tips to your younger self, what would they be? Don’t be shy – ask questions, listen and learn from everyone! Focus on future goals not current limitations – particularly if you fear falling as I did when I was younger! It’s not the size of the dog in the fight; it’s the size of the fight in the dog!